It's easy to find a dentist. Finding a good dentist, however, presents more of a challenge. Whether you’re moving somewhere new or just want to find a different dentist, you're probably wondering where to begin. These tips will help you find a good dentist. If you're moving somewhere new, ask your current dentist for a referral to a new dentist in the area where you'll be relocating. You can also check online directories, like 1-800-Dentist, to find out the locations and ratings of dentists in your new area. Remember: it's not "just the dentist." Before you start searching, think about the criteria that matter most to you. How important is location? 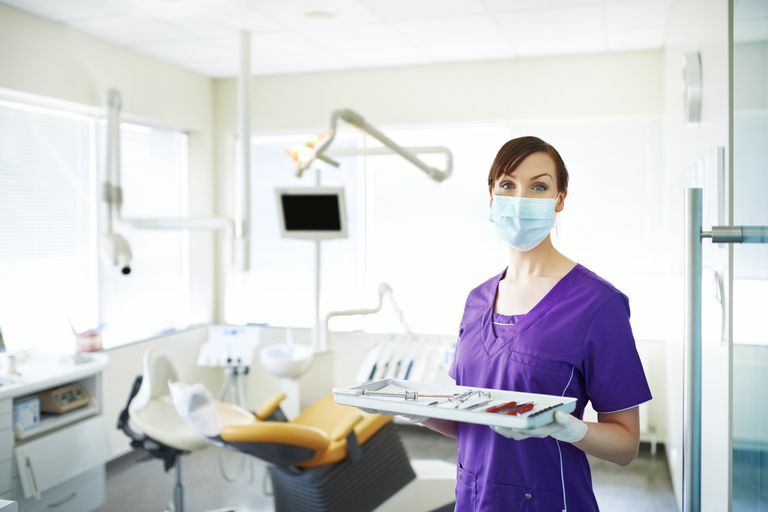 Many people prefer their dentist to be close to home, work or their child's school. Having a dentist close by makes it easier to stop by for an appointment if there's been a cancellation or if you have an emergency. What kind of dentist do you want? If you have children, you might want a pediatric dentist who specializes in treating kids. If you use a wheelchair or have difficult climbing stairs, you might want to visit an office that is handicap accessible. Maybe you want a dentist who speaks another language. What is appointment availability like? Do they offer after-hours, emergency care services? Is the dentist a member of a state or national dental society? Of course this is just a sampling of things to consider. Take your time and write down what is really important to you. Keep in mind you might have to visit several dentists before you find one you really like, and there's nothing wrong with that.